This is not for sleeping but it looks amazing when your bed is made. Need additional down comforter to complete the experience. Update your bedroom with the classic rustic inspired Earthy cover set from Siscovers. 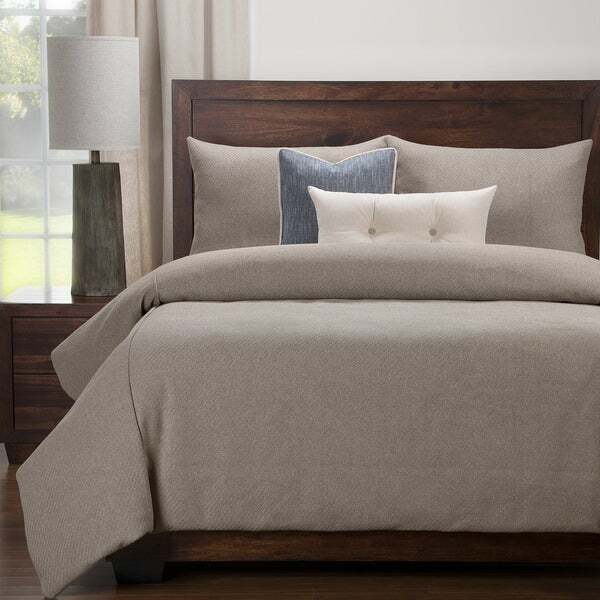 The natural cotton construction and beautiful texture will make this set a mainstay in your favorite bedroom. This High end set includes the following: One duvet cover, two pillow shams (one in twin set), one comforter, one 16" x 16" toss pillow and one 26" x 14" buttoned toss pillow. The duvet cover is backed with an ultra-soft sheeting material for added comfort. The duvet cover and shams have zipper closures for easy cleaning. The comforter buttons in 8 places to ensure it does not shift in the cover. This set is available in Twin, Full, Queen, King and California King. The duvet cover is filled with eco-friendly down alternative comforter. Stuffed with a medium-weight fill made from recycled plastic bottles, this fluffy comforter benefits your health and the environment when compared to natural down. Super Luxurious for the price. "What material is the duvet cover ?"